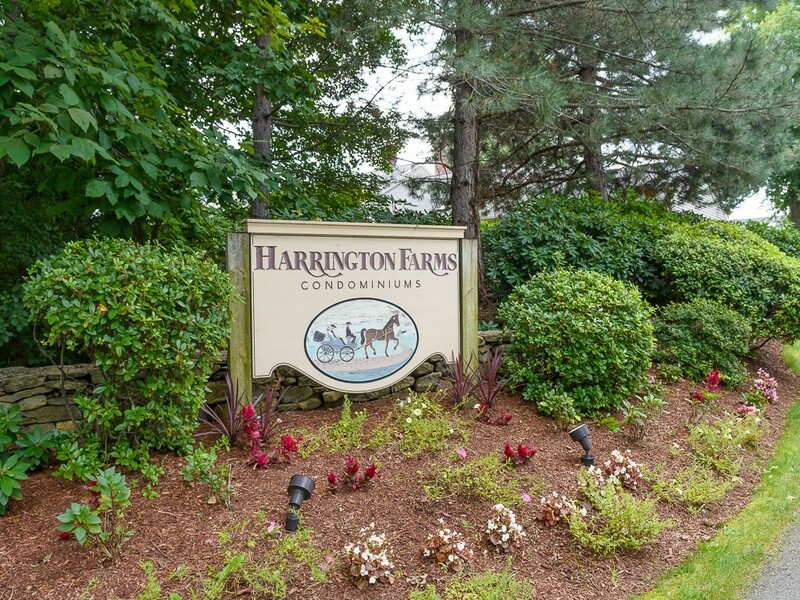 Enjoy the swimming pool, tennis court and easy access to shopping and highways at sought after Harrington Farms!!! This beautiful homes boasts an updated kitchen with stainless steel appliances, upgraded cabinets and sliders to the private, brand new deck with views of the woods. Living room with hardwood woods and gas fireplace. Cathedral ceilings, Central Air, Gas heat, 1 car garage, spacious bedrooms, 1st floor laundry, tons of closet space and additional storage in lower level. Showings start immediately, don't miss out!